AOR — Greene Design Co.
Advanced Orthomolecular Research (AOR) is a nutraceutical supplement brand based in Calgary, Canada. In the winter of 2018, after 25 years in business, AOR launched 120+ products for the United States market. 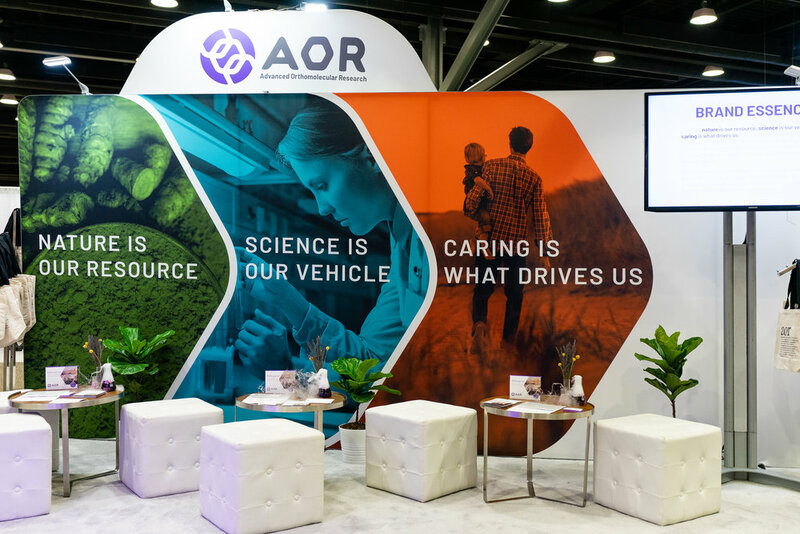 This launch was the ideal opportunity to rebrand the nutraceutical brand from the ground up ­— a new visual identity, new packaging, and a campaign to introduce AOR to Americans. The initial American rebrand was not adopted by the Canadian headquarters, though after a successful year, AOR hired us to rebrand the entire company globally. This gave us a chance to revisit the brand once again, evaluate new market research, explore AOR’s core values and develop a well-informed identity for the brand. Taken from molecular strutures, the hexagon heavily influences the entire identity – from the custom AOR wordmark to the graphic elements on all packaging.